You can now buy posters of some of my comics! These posters are printed on watercolor paper and vary in size. 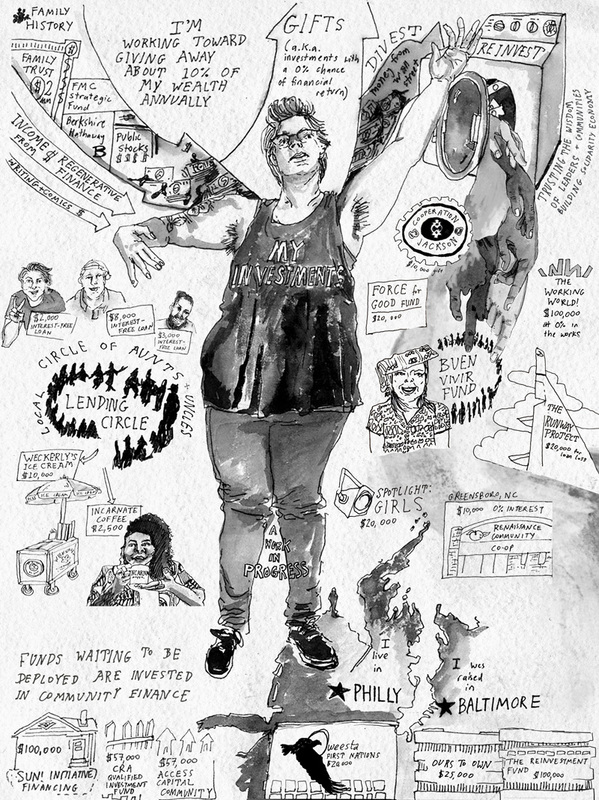 Proceeds from these posters go to leaders of the solidarity economy and projects shifting wealth and power. If you have any questions email comicsbykate@gmail.com. 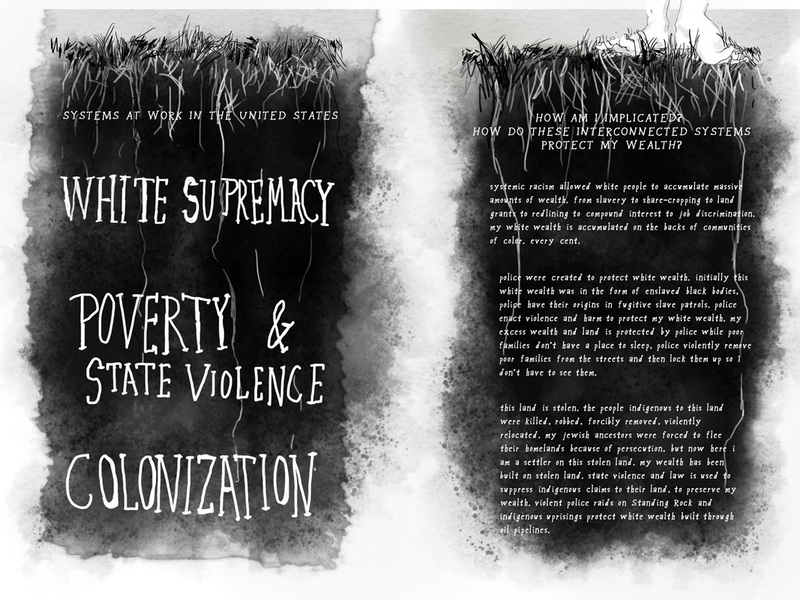 This 9 by 12 inch poster is a call to action to ground our work in the violent history of where white wealth comes from in the United States. Proceeds from this poster will be sent to POOR. This 8.5 by 11 inch poster is an illustration of my investment portfolio. Proceeds from this poster will be invested in Be Invested to shift other inheritors financial practices and investment portfolios. 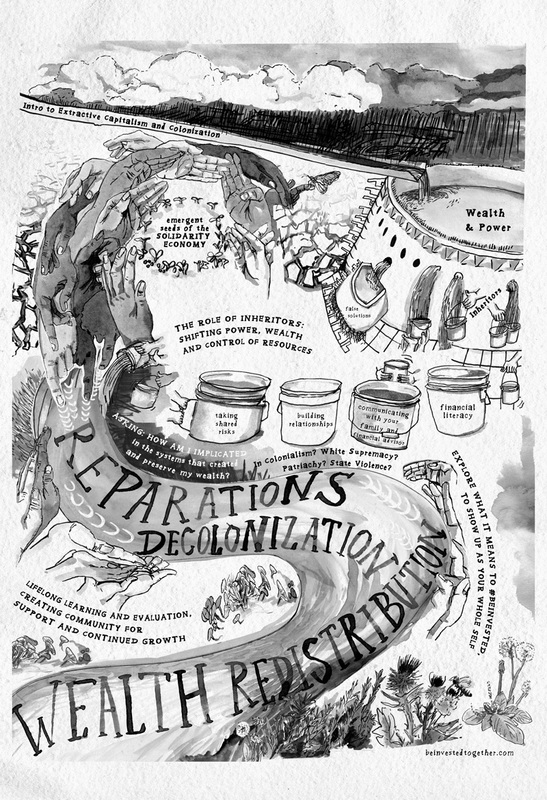 This 9 by 12 inch poster is an illustrated of Be Invested’s curriculum to heal the financial practices of inheritors. Proceeds from this poster will be invested in Be Invested. 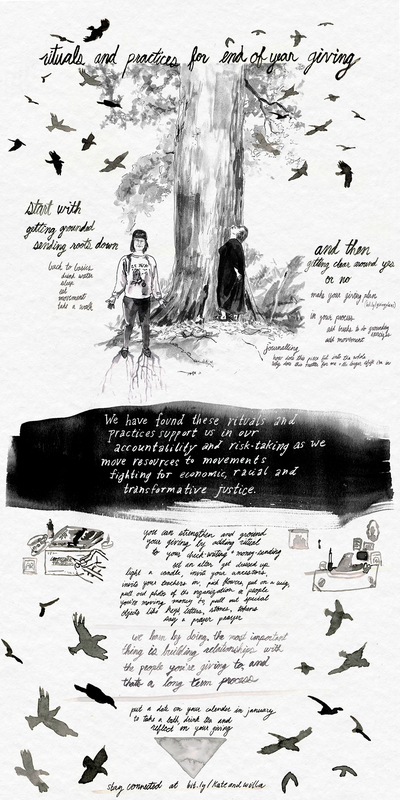 This 6 by 12 inch poster is a sweet reminder and strong commitment to shift wealth and power to the solidarity economy. Proceeds from this poster will be sent to Cooperation Jackson. When Kate makes new thought-provoking comics you’ll receive them over email before they’re even posted. Kate will also send you commentary and ideas for how to take action.